Another hectic week outside of blogging. We celebrated Australia Day and had an extra long weekend. So we went to the river to camp and ski all weekend!! It was fun, but it was great to get home. Then I had to prepare the kids for school. They are all at a new school this year and are pretty excited!! Blogging... well, I'm still pretty far behind. Still haven't managed to visit many blogs, but I promise all things will be back to normal soon! Keen to continue this series!! It was on sale!! I was gifted this one through Amazon! 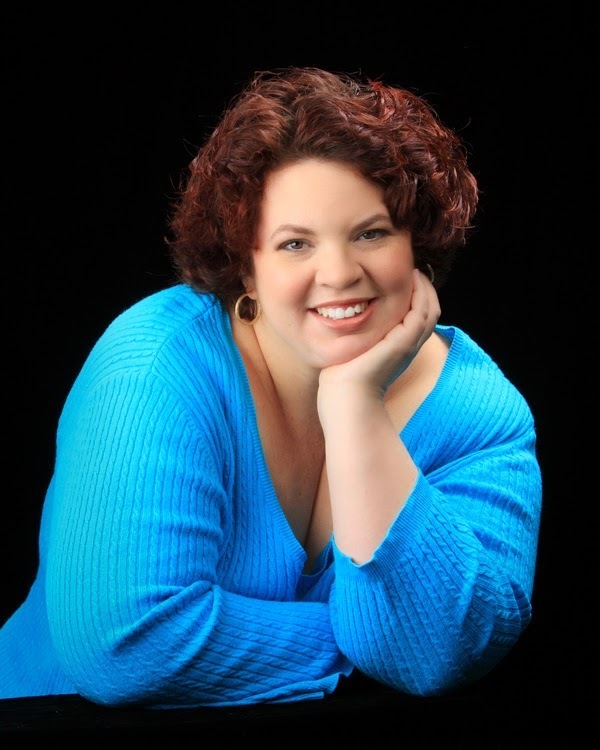 read more "Naomi’s Weekly Wrap Up 171"
If you didn’t know before, I am a fan of Maria V. Snyder’s work. Night Study is the second book in the Soulfinders series, but also the fifth book from the Study series. The Soulfinders series is a new story which you could read without reading the first series. Night Study continued immediately after the ending of the first book, with Valek and Yelena together. They were coming to terms with Yelena’s news and recovering after the latest battle with Owen Moon. They are soon travelling back to Ixia, but things aren’t what they appear to be, with the Commander acting strangely and threatening harsh punishments. 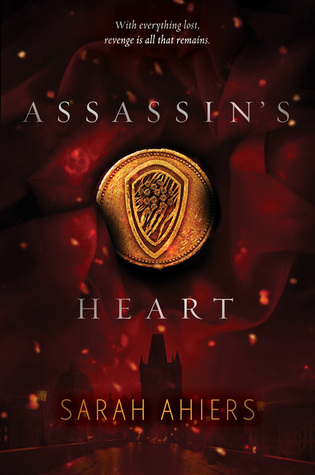 Their current predicaments are put aside when Valek has to head to the coast to deal with thieves and Yelena needs to return to Sitia, to the Citadel. But as you can expect, there are many hurdles that the characters have to get past. There are traitors at every turn and they are unsure of whom to trust. Yelena needs to come to terms with her new situation, and Valek has to deal with a few life changing twists. I loved seeing Janco and Ari again and how they continue to be protective of Yelena. What I loved most was that all my favourite characters made appearances and at one stage were all together and had to work as a team to get out of the predicament they were in. They found new allies, that made my jaw drop, but it was the constant action from beginning to end that kept me immersed in the book. 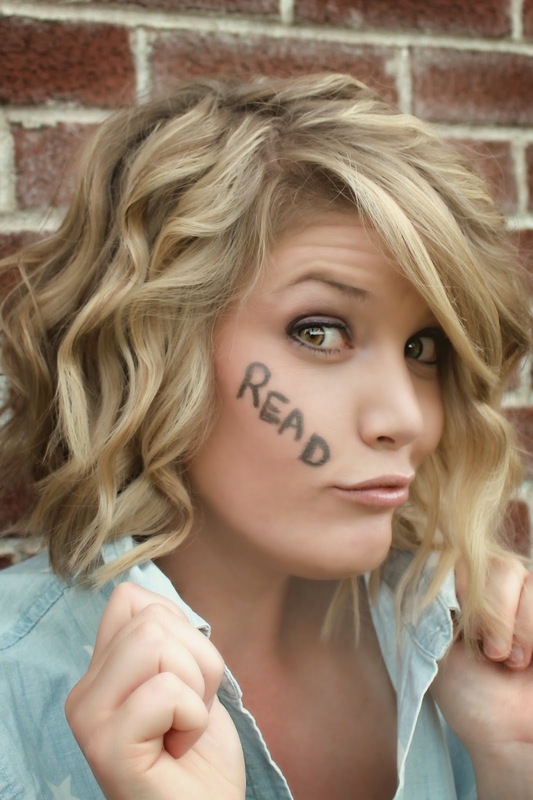 Maria V. Snyder has a magical way of drawing the reader into the book. I love this world that she has created and every story hooks me! Night Study was a fantastic follow up to Shadow Study, and with the extra perspectives from Valek, Janco and Leif’s, along with Yelena’s, I was able to get a better understanding of what was going on and what they were dealing with. It was a fast paced read that I didn’t want to see the end of… 2017 is a long way away! I just love Valek and Yelena together... this was a beautiful moment between them! “Till death. I do swear, love.” Valek whispered in my ear. “Beyond death. My vow to you,” I said. “We shall be,” I agreed. This time his kiss vibrated to the very core of my soul. Our pledge solidified our connection, creating an unbreakable bond. “Clothes...off...” I said between kisses. The speed of our disrobement took what little breath I had away. But then breathing no longer mattered. 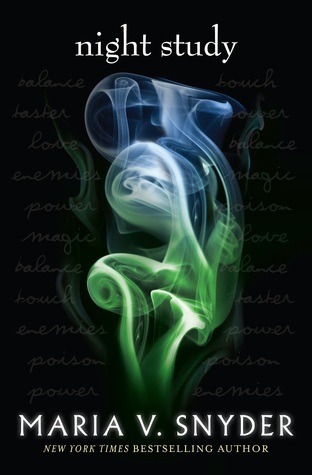 My senses filled with the intoxicating smell, feel and touch of Valek as he lowered my shoulders to the floor. Nothing in life compared to being linked with him. Together we were one. 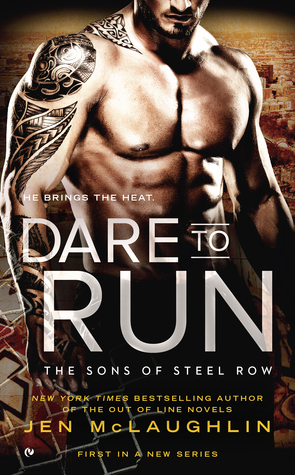 read more "Night Study by Maria V. Snyder ~ Review & Swoon Thursday (@HqnTeenAus)"
OMG!! I am late!! I know, busy week down here, with an extra long weekend for some of us and now organising the kids to go back to school. I have two reads that I stumbled over on Goodreads that jumped out at me!! read more "Waiting On Wednesday # 177 – Dare to Run / Assassin's Heart"
The conclusion to Cleo and Kill's story has now been released. It was a great ending, and I hope you try this dark romance for yourself! I read Ruin & Rule back in June and have been dying to read Sin & Suffer to continue the story after the cliffhanger in the first book. I think it’s necessary to read the first book before jumping into this one because so much happens in the first book that sets up events that occur in the second book. Sin & Suffer begins with Cleo and Kill in situations out of their control. Cleo is determined to be strong and not allow her past and those old fears get to her. She is stronger now that Kill has come back into her life again. Kill will not allow Cleo to leave her again and does everything he can to get her back by his side. He has plans that have taken years to set right and is determined to see them through. There were a few tough moments while reading this book. I hoped for a big showdown when Kill and Cleo had to face Rubix and the Dagger Rose MC. While it was fast and made a big impact on my heart, it didn’t go down like I hoped. I wanted them all to get the revenge and closure they all needed, but I could see why it was done the way it was. The series story arc was what it was all about… the end game which they were all aiming for. I liked how it all played out and what they it meant for everyone involved. I think that Pepper Winters did a great job delivering Cleo and Kill’s story. They are a fierce couple and have lived the horrors and survived. They have strong hearts and can forgive when others wouldn’t. They worked hard to get their lives on track and were devoted to one another. I didn’t like how Kill kept so much from Cleo, but he was afraid and wanted to protect Cleo because he failed her once before. Sin & Suffer was a fitting ending to the duology, and I hope there are more stories from this world in the future, because there are a few characters that I’d like to see get their very own HEA! I loved this kiss... a little dominating, but the sexual tension between them was intense! We met in the middle of the carpet. We stared but didn’t touch. We breathed but didn’t speak. The tension sprung tighter until the hairs on the back of my neck stood up with need. We were so close, but still so far apart. “Goddammit, come closer.” I grabbed her around the nape and smashed my lips to hers. The moment I touched her, the world incinerated. read more "Sin & Suffer by Pepper Winters ~ Review & Teaser Tuesday (@PepperWinters)"
This was a spontaneous buy, the debut novel by Jamie Deschain. There were a few twists, high's and low's, but overall a good read! "Our love may have been forbidden, but that didn't stop me from giving him my heart." When I was born I met the man who would destroy my life. When I was sixteen I met the boy who would help me put it all back together. Nicholas Rossi was the best thing that ever happened to me. He protected me, loved me, and in the face of all my life had become at home, he gave me hope that maybe someday hell would turn to heaven and everything would be okay. Then one day he was gone, sending my life into a tailspin I never thought I'd be able to pull out of. Now, seven years later he's returned, and he's definitely no longer a boy. I picked up Saint Nicholas when it was on sale during the month of its release. I must admit, the cover drew me in and I thought it sounded ok in the description, so I 1-clicked it! The story was pretty fast paced and was a bit of a difficult adventure. It touches on some difficult issues like abuse and drug use and how it can tear families and relationships apart. The story was told in four parts, and I was able to get the perspectives of both Nicolas and Sarah. I liked seeing each of them, understanding their feelings and the issues they were going through. I enjoyed meeting Sarah and Nicholas, I could see that they had a connection from the beginning and I liked how ruthless Nicholas was to be part of Sarah life. My heart broke for Sarah as I learnt her story. It was difficult for her to have a normal life, she was always scared. A lot of the story was told to me, so I didn’t get to see the interaction between the characters and I was unable to connect with them fully. My heart shattered! I didn't think that! What the hell is going to happen now? It was such a huge jump in time too... and only lasted a chapter. Another huge jump in time. It began ok, but I was like WTF! What mother does that and for that long! It obviously didn't help, just made things harder. I liked seeing the relationship develop slowly, even though there were a few hurdles. Both of their lives have changed drastically. Sarah and Nicolas had a lot to face and I was happy to see them to do so together. This final part made me happy! I was so glad that they were able to find true happiness! Overall, Saint Nicholas was a good read. There were a few moments in the read that I couldn’t wrap my head around, and that is why it dropped in rating. This was Jamie Deschain’s debut novel, and I think this was a solid start to her writing. I’d be interested to see what she will publish next. Sigh... This was a long time in the making! “I—I don’t know what to say,” I blubbered. He spun and took my face, staring straight into my eyes. I gasped at his warm hands on my skin as my own flesh tingled with nervous anticipation. I knew what was coming, and I didn’t want to stop him. I didn’t want to wait any longer, either. His lips crashed into mine. A soft moan escaped my throat and I instinctively placed my hands on his bare shoulders before sliding one back around and cupping it at the nape of Nicholas’ neck, feeling every goosebump on him. Jamie Deschain lives in Pennsylvania. When not writing, Jamie can be found reading, shopping, and playing Magic: The Gathering. 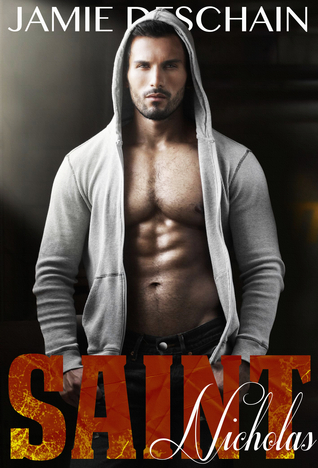 read more "Saint Nicholas by Jamie Deschain ~ Review & Quote-tastic (@jamiedeschain)"
Hi all! I am slowly getting back into the swing of things. I have scheduled a few posts, but I am still really far behind! It was good that I scheduled heaps before the break, but I now have to build up again. I am really behind on following up comments, but I hope that once the kids are back to school I will have my routine up and going again. No purchases this week... but a couple of paperbacks that I forgot to add to my holiday haul!! Have a fab week everyone! I ordered this through Lili St. Germain... I love it to death!! And whilst shopping, I had to pick this one up too!! 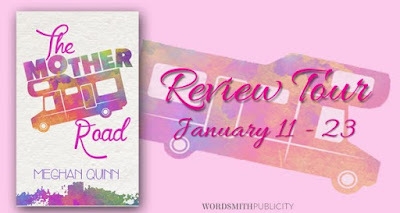 read more "Naomi’s Weekly Wrap Up 170"
Meghan Quinn has delivered a masterpiece with the romantic comedy The Mother Road. 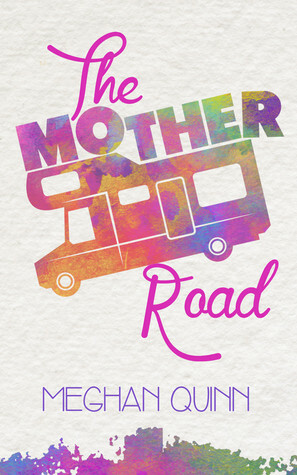 I laughed out loud a lot while reading this book, you must grab it for yourself, this road trip was hilarious! First off, I’m just going to come out and say it… I loved this book! It had a great story line, characters that I clicked with and it was a hilarious read! Some of the situations that Marley got herself into or created were laugh-out-loud funny! 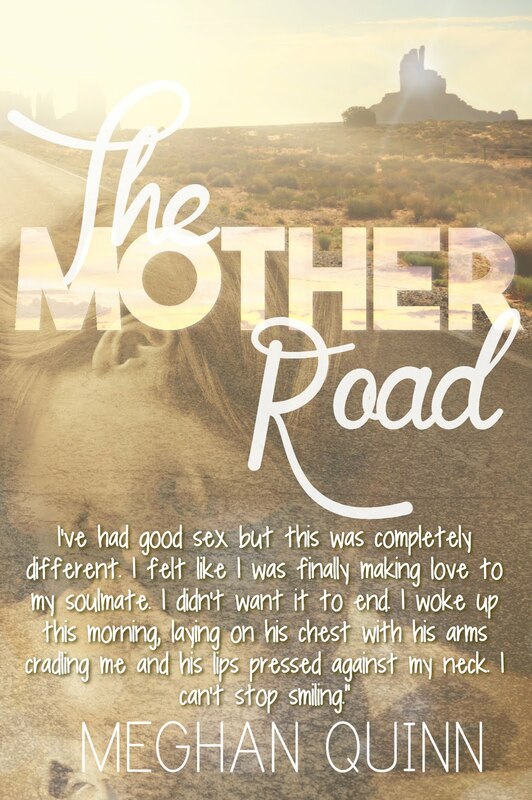 I highlighted so many lines in this book; there were great one liners, funny situations and plenty of swoon moments. Secondly, I loved the reason why Marley, Paul and their father Bernie decided to go on the trip; it was the trip that their mother planned out before she died, and Paul decided it was time to do it before he got married. It was great to see them together again despite the way Marley and Paul bicker. But when they pick up an unexpected guest, Porter – Paul’s best friend, Marley’s trip becomes interesting. Not only was he her childhood crush, but the guy who broke her heart before she went to college. Thirdly, I loved the easy relationship Marley had with her father Bernie and brother Paul. They know each other so well and push each other’s buttons, but you can see they love each other deeply. Then there is Porter, he has been there since they were children and still lives and works on Bernie’s goat farm. The guys are all close, but I could see that both Marley and Porter still have feelings for one another, but they are both hesitant to act on those feelings. And finally, I loved the storyline. I enjoyed experiencing the trip with them, seeing Marley work on her blog, finding out what Porter has been doing in his spare time. Paul is such a girlie guy and would crack me up with his feminine ways!! But throughout everything, they are a family, despite the distance between them. To wrap it up, I want to encourage you to read this story! Meghan Quinn did a remarkable job at piecing this story together and she hooked me in from the Prologue. The characters aren’t perfect, they make mistakes but you can see the close connection that they have that they support each other through everything. They were entertaining to read about and Meghan has a way of making you fall in love with each and every one of them! If ovaries could burst, mine just did. Right there on the spot. 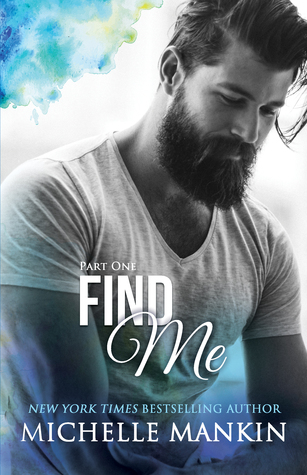 The combination of his rugged smile, that small dimple that peeks just past his beard, those almost black eyes smiling back at me, and his nickname for me all do me in. I want to lick the ground he walks on, and I would have no shame in doing so. 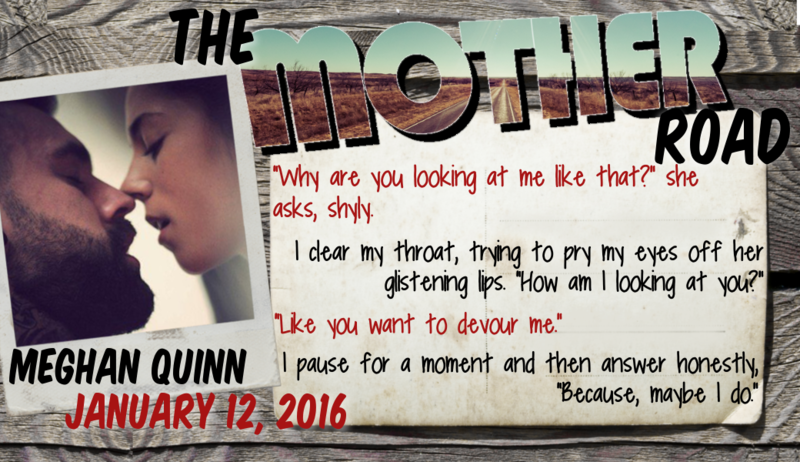 read more "The Mother Road by Meghan Quinn ~ Review, Giveaway & Swoon Thursday (@AuthorMegQuinn, @wordsmithpublic)"